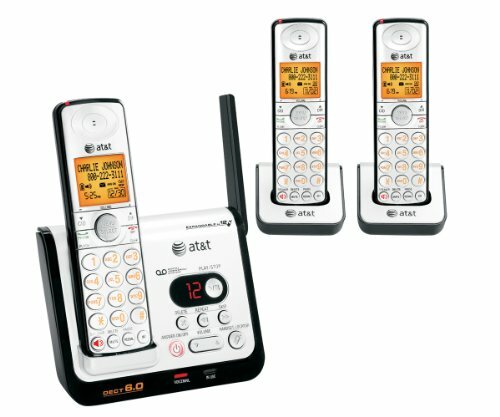 The AT&T CL81309 DECT 6.0 Cordless Phone is one of the many phone systems that uses DECT 6.0 Digital Technology. DECT 6.0 Digital Technology provides superior sound quality, security and range. The handset speakerphone allows you to talk hands free. The system can be expanded to 12 headsets with one phone jack. It comes with three handsets to start with. The handsets are wireless. The phonebook directory can hold up to 50 names and numbers. The large lighted display and keypad are easy to use. There is call waiting with this phone and an intercom system but there is no answering machine or voicemail. The entire system comes with three handsets, two charging bases, three power adapters, a line cord, three batteries, a wall mount bracket and an owner’s manual. The AT&T CL81309 DECT 6.0 Cordless Phone is one of the top phone systems on the market today. 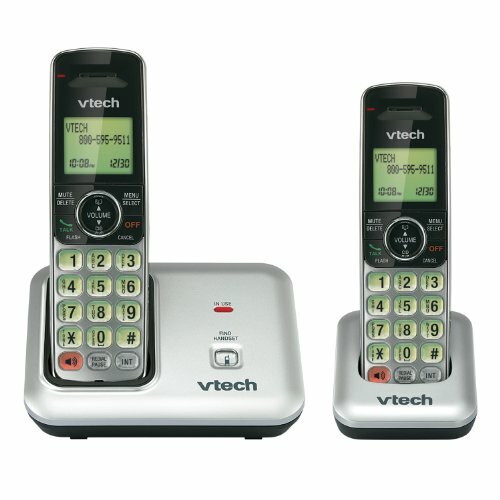 The VTech CS6419-2 DECT 6.0 Cordless Phone offers many features that other phone systems do not. This phone is equipped with digital security. The calls are digitized and encrypted so no one can hear your conversation outside of your home. Text messages can be sent to the phone to alert you of incoming voicemails. Voicemail is not available on this phone and you will need to sign up through your phone company. The intercom, call-transfer and conference calls will help improve in-home communications. You’ll be able to talk to your husband in the basement, your wife upstairs or your children in their bedrooms all while sitting in the living room. The LCD screen is illuminated so you can see it in the dark. The system can expand to up to five handsets. 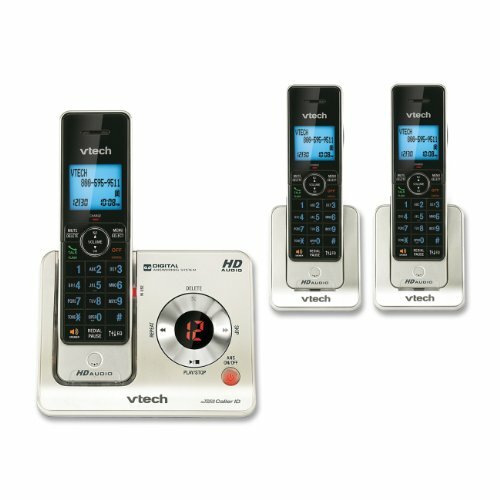 The VTech CS6419-2 DECT 6.0 Cordless Phone is one of the best phone systems for any size family. Those looking for a phone system that has an answering machine should look no further than the Panasonic KX-TG6645B DECT 6.0 Cordless Phone with Answering System. This phone uses Range Boost technology which will extend your range by up to 20% over other phone systems. Other features include a reversible handset design, talking caller ID, 4-way conference capability, eco mode, power back-up, tone equalizer, silent mode, speed dial and hands-free speakerphone. The Panasonic KX-TG6645B DECT 6.0 Cordless Phone with Answering System is the perfect phone system with an answering machine. The VTech LS6425-3 DECT 6.0 Cordless Phone is one of the best priced phones on the market. Even though it is priced low, it features all of the options one would need in a phone system. The LS6425-3 includes three handsets, two chargers, a base, three power adapters, a line cord, three batteries, a quick start guide and an owner’s manual. It uses HD audio for a clearer sound that is easier to hear. The Voice Announce Caller ID will tell you who is calling without having to look at the screen. The digital answering machine has up to 14 minutes of recording time. The DECT 6.0 Digital Technology provides a longer range, better security and superior sound quality. Calls made from this phone will be digitized and encrypted to protect your conversations. The system can expand to 12 cordless handsets and 2 cordless headsets. The handsets can be used as walkie talkies so you can communicate with anyone else in the house. The VTech LS6425-3 DECT 6.0 Cordless Phone is a great option for those who cannot afford to spend a lot of money on a phone system. 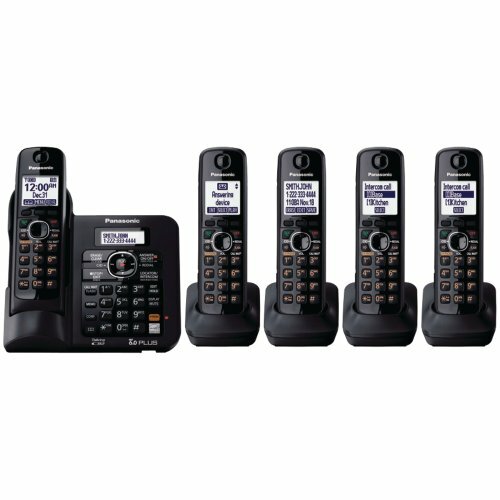 The Panasonic KX-TG7645M DECT 6.0 is overall the best phone system. It uses DECT 6.0 Plus technology which increases the range of the handsets and produces outstanding sound quality. The Bluetooth Link-2-Cell lets you use your cellphone to make calls through your landline. You won’t have to worry about your calls being dropped or fuzzy sound quality. You can also transfer your cell phone directory directly to this system’s phonebook. There are different ringtones you can choose from so you know exactly who is calling. The answering system allows 18 minutes of recording time. The built in intercom system will allow everyone in the house to stay connected. If the power goes out, this phone will still work with the battery backup. The call block feature will allow you to block your mother-in-law or that mooch who calls himself your friend. The Panasonic KX-TG7645M DECT 6.0 is the best phone system on the market today. The best phone system will offer many features at a low price. When shopping for a phone online, you must read the reviews. Some phones will look like a great deal but the reviews will tell you if the phone is worth it or not. If are smart about how you shop for your phone, you can find the best phone system at the lowest price.